Since we have two sold-out pilgrimage groups still going Israel this year and six more next year, I thought this would be interesting for two reasons: 1) To inform folks that things are calming down and will be no problem for our 2015 pilgrims (it would have been no problem even as it was); and 2) Because we will be seeing these sites and it is good for our pilgrims and our readers to understand what has been going on with Temple Mount, the Jews and the Muslims. Before I share the article from Catholic World Report, I would like to relay the decision of Israel to reaffirm the long-standing rules regarding Temple Mount – a decision that should calm the Muslim hysteria and restore calm in Israeli-Palestinian relations, for now. 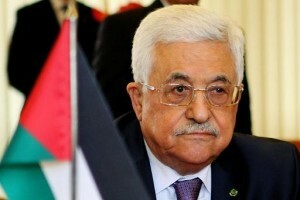 “Palestinians have waged a long campaign to deny that Jews have any historical ties to Jerusalem. Recently, the New York Times took up their cause by publishing an article questioning whether the First and Second Temples ever stood on the Temple Mount. Archaeologists were quick to criticize the story, and others questioned the timing and intent of the piece. Why exacerbate an already volatile situation? “Having raised the issue, however, does the Times have any responsibility to explore the issue in more depth? Historical and archaeological evidence provides strong support for the Jewish case. So does common sense. Since the Jews were in Jerusalem for about 2,000 years before Islam came into existence, they would seem to have the better of the argument about who has the best claim to Jerusalem and the Temple Mount. 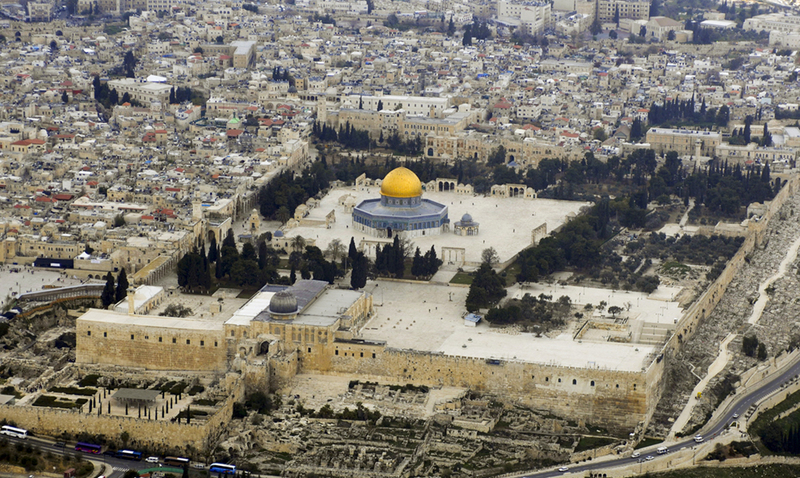 But what, exactly, is the Muslim basis for claiming the Temple Mount? “Well, to put it in a nutshell, the Mount is holy to Muslims because Muhammad supposedly flew there on a mount—a flying horse named Buraq. 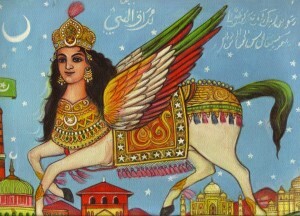 It had a human head and eagle’s wings and it carried Muhammad from Mecca to Jerusalem and back in one night. “Even though there is only a fleeting reference to the journey in the Koran and even though Jerusalem is never mentioned in the Koran, this story is the foundation of the Islamic claim to the Temple Mount. The full account is provided in the Hadith and in the Sira (Life of Muhammad). Upon reaching the “farthest Mosque” in Jerusalem, Muhammad ascends through the seven levels of Paradise, meeting various prophets along the way. Adam is on the first level, Jesus is on the second (only the second? ), and Abraham (“never have I seen a man more like myself”) is on the seventh. 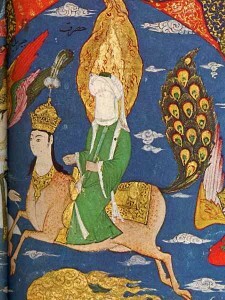 Then Muhammad has an audience with Allah, bargains with Him about the number of daily prayers required of Muslims, and then returns to the Mosque and flies back to Mecca courtesy of Buraq. “The incident is referred to as the “Night Journey” and sometimes as the “Dream Journey,” since Muhammad seems to have backed away from his initial claim that it was a bodily journey. As his wife, Aisha, explained, “The apostle’s body remained where it was but God removed his spirit by night” (Ishaq, The Life of Muhammad, 183). 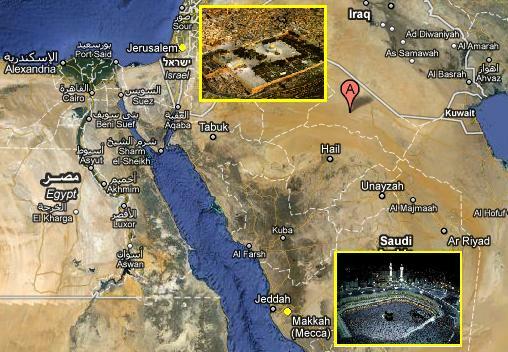 “At the time of this revelation, the pagans of Mecca scoffed at the whole idea: “By God, this is a plain absurdity! A caravan takes a month to go to Syria and a month to return and can Muhammad do the return journey in one night?” (Ishaq, 182-183). The question is, are we allowed to express similar doubts today or are the forces of political correctness too strong to allow for dissent? Compared to the Jewish case, the Muslim claim to the Temple Mount is the weak-horse argument. 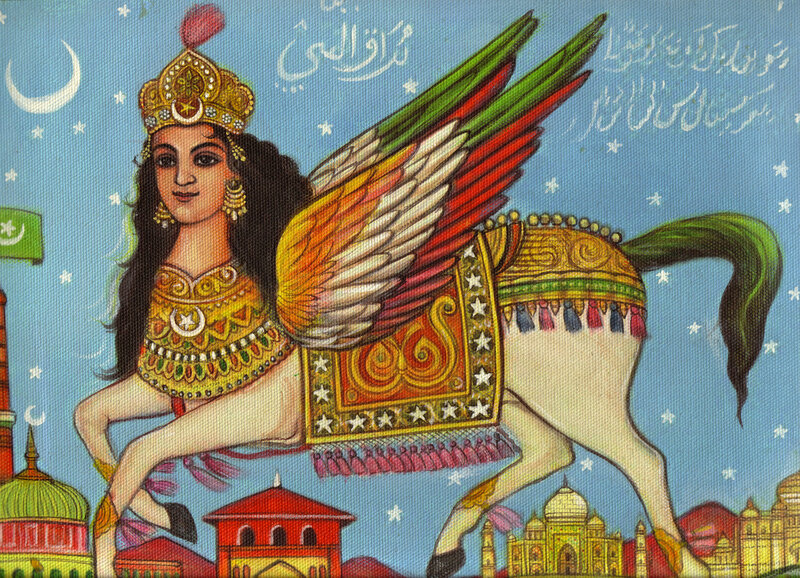 Buraq was reportedly strong enough to carry Muhammad on a 1,500-mile round-trip journey, but the Buraq rationale for expelling Jews from the Temple Mount shouldn’t carry much weight with fair-minded people. A very well written article brother. Unfortunately the Western press and leader’s seem taken by a powerful delusion when it comes to the status of Jerusalem and Islam’s weak claims. The bible makes it clear however that all the nation’s will be judged for dividing the Holy city and Israel one-day. The lines of the division are very clear to see and have the support of the nation’s via UN resolutions which seek to seperate, Judea, Samaria and East Jerusalem from Israel proper. Peace be with you in Christ. Next post: Embarking on our 14 Day St. Paul Pilgrimage Seminar Cruise! Bella Roma! !